One of the wonderful things about choosing a wedding venue is being able to transform it and enthuse your own taste and personality into it. Depending on the type of venue you choose (you have to bear in mind that there may be limitations), you can treat it like a blank canvas and fill it up with decorations that you love. 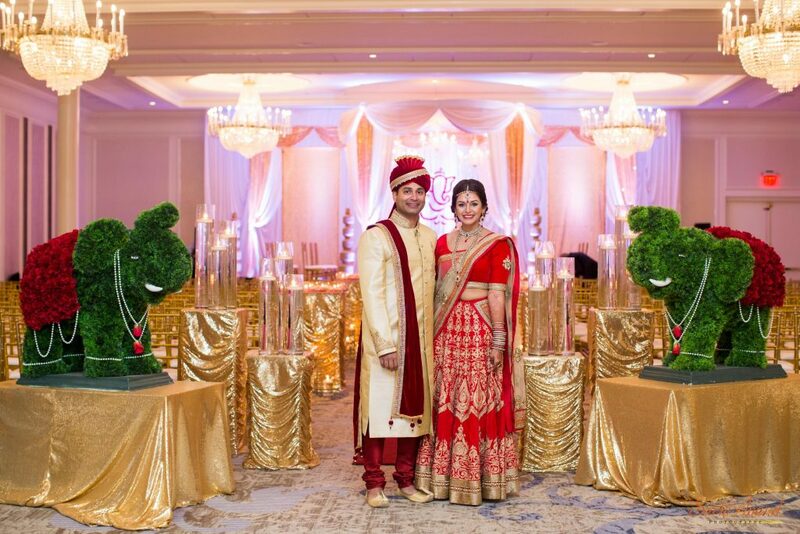 Below I am going to look at the various floral Indian wedding decor options available to you, because after all, nothing says romance like flowers! Floral Decor is always a lovely option. Flowers are a wonderful way of enthusing colour into your chosen venue and can be particularly effective if you either coordinate or contrast the colour scheme with your outfit. 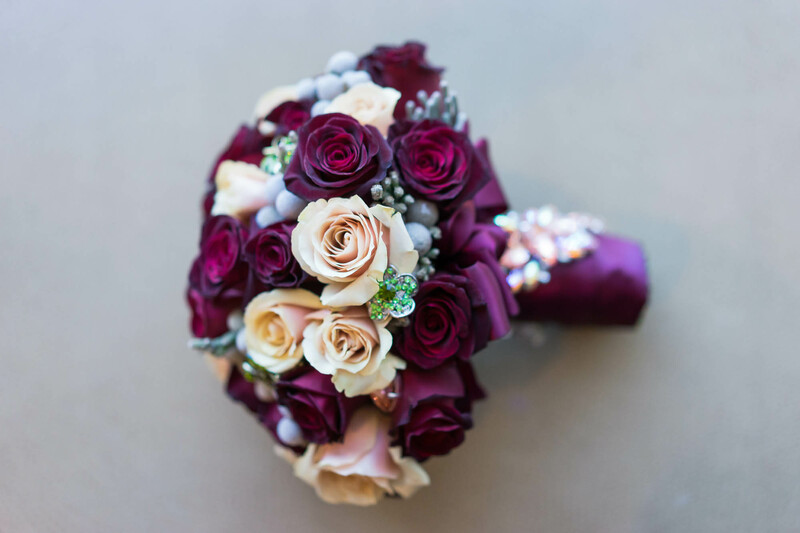 Otherwise, You may choose to have floral bouquets that contain your favourite colours. These bouquets can be held or placed around the room in vases. 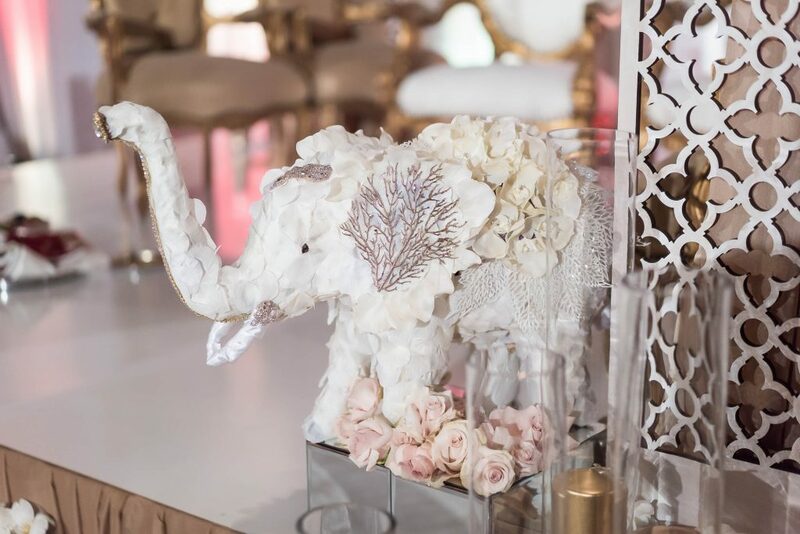 As well as the more common centrepieces and bouquets, there are many innovative things that you can do with a floral theme when it comes to Indian wedding decor. Flower curtains or flowers hung vertically from the ceiling make for beautiful photo backgrounds and add a fairytale-esque feel to your big day. Of course the use of flowers as decoration does not need to be restricted to the wedding reception, they can also be used during the wedding ceremony to decorate your mandeep. Being surrounding by flowers will create a breathtaking setting for you are your significant other to become husband and wife. If you want to go for something a bit more creative, then floral sculptures are a great way to go. 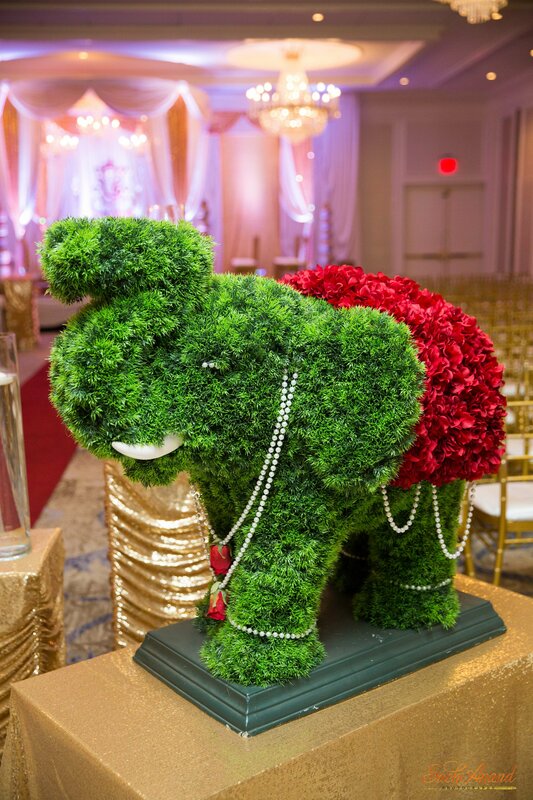 They are eye-catching and add a bit of fun and cuteness, as is the case with the adorable floral elephant below. 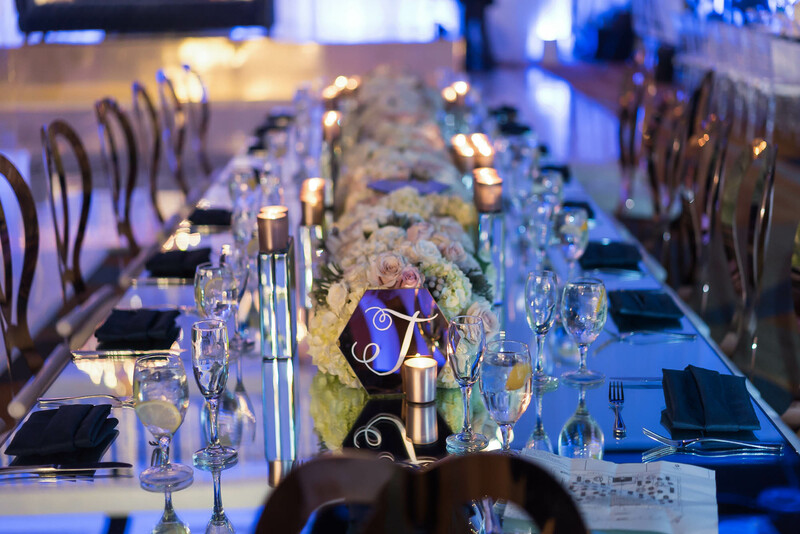 As for centrepieces, whether you want them on the table or dotted around the room, you do not need to stick to bouquets or vases, but can instead choose something more artistic to really give the room a certain flourish. If you do decide to go down the vase route, then you can have a lot of fun with this too. 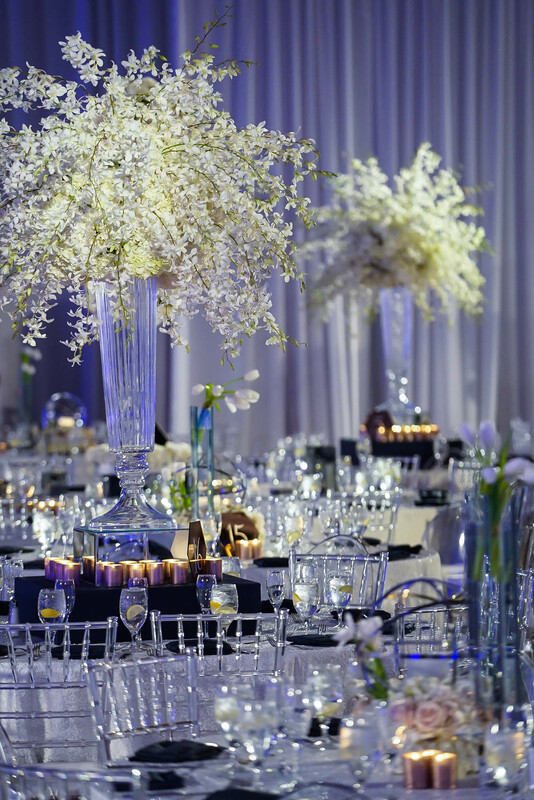 Depending on your aesthetic, you can either go for tall or short vases to help make your wedding tables look fantastic. A problem with tall vases is that they can be slightly less social than small ones because they can make it more difficult for guests sitting opposite each other to chit chat. As you can see in the below photo, tall vases do create a rather fabulous, awe-inspiring look though. If you want something a little more subtle then short floral centrepieces can look really elegant. They can be used to create a more intimate feel and mean that everyone around the table can be clearly seen. 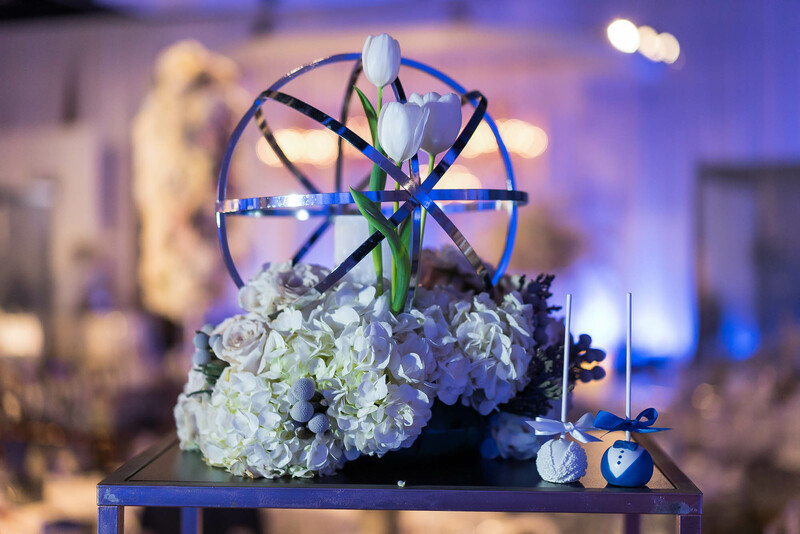 All of the photos used in this post were from Kismet Event Design. 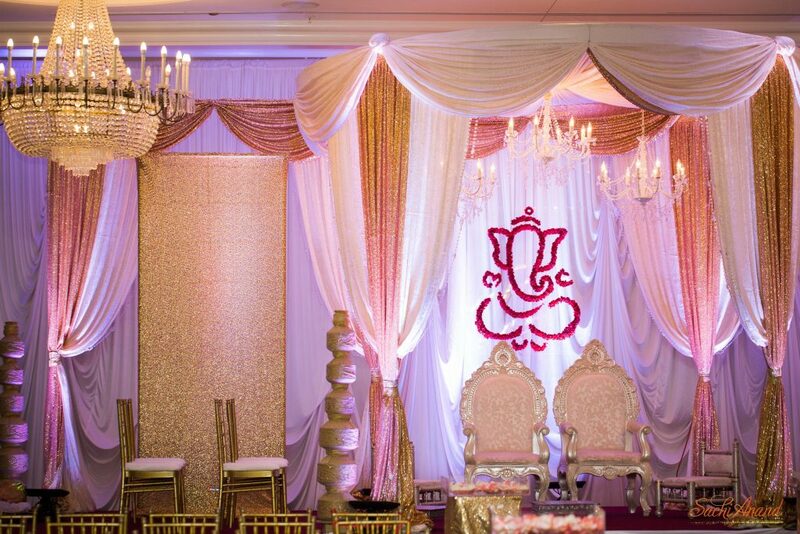 Kismet Event Design specialises in wedding decor including bountiful florals, custom made backdrops and draping. 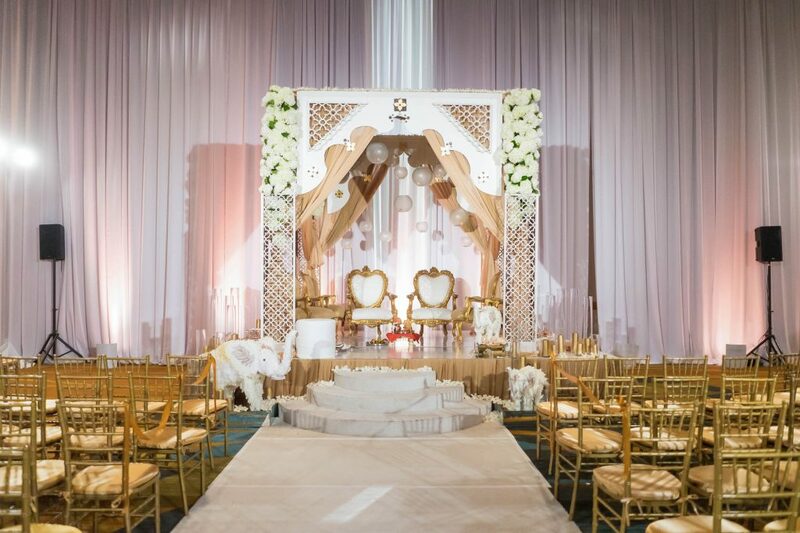 With a team of dedicated design experts, they will work with you to transform your chosen wedding venue into an enchanting environment that will leave you and your guests speechless. 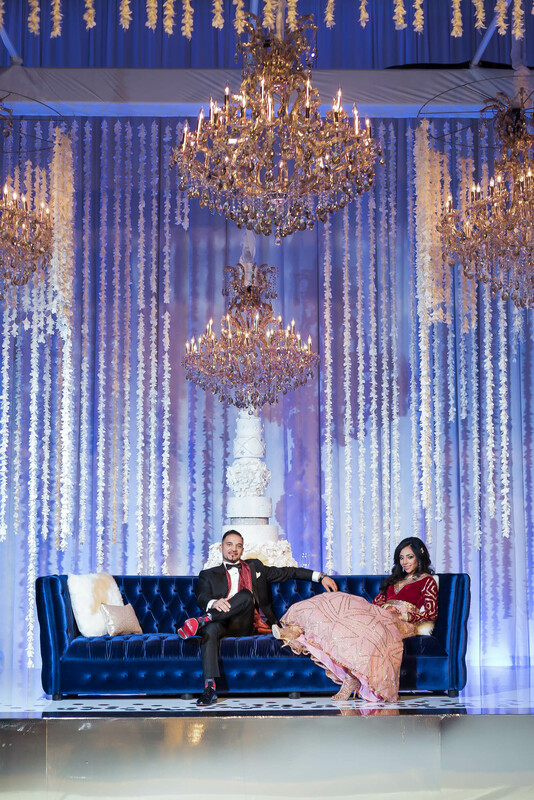 The bride and groom featured here are Nilay and Tina Patel, who got married on 28th November 2015 at Orange County Hyatt. The photographs are by Greycard Photography. 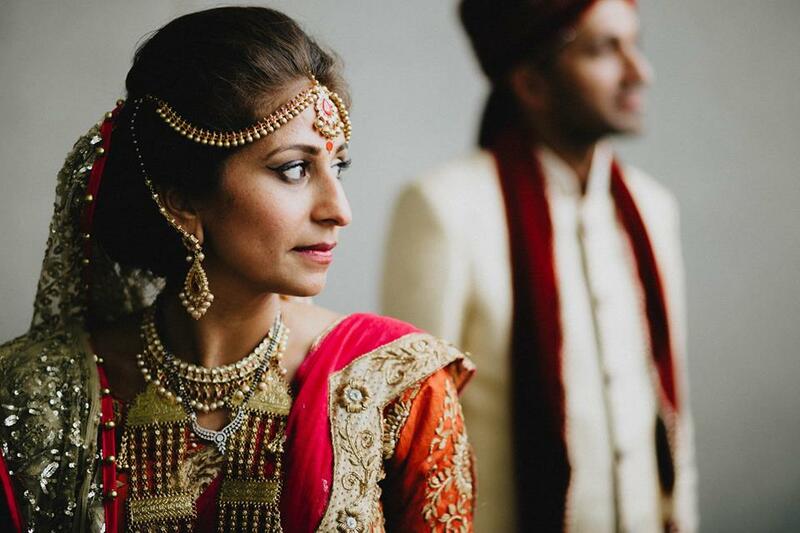 For those of you lucky brides-to-be who are at the very start of your journey and still have a whole wedding to plan, here’s hoping that you can get some inspiration from the beautiful wedding of Megha and Gautam. 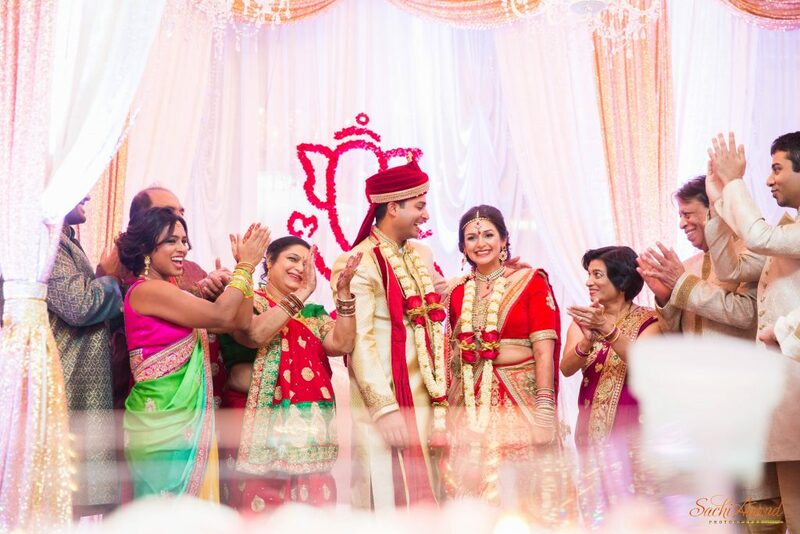 The wedding was captured in stunning style by Sachi Anand Photography. Sachi Anand is a Philadelphia based photographer, who travels nationwide to photograph weddings. 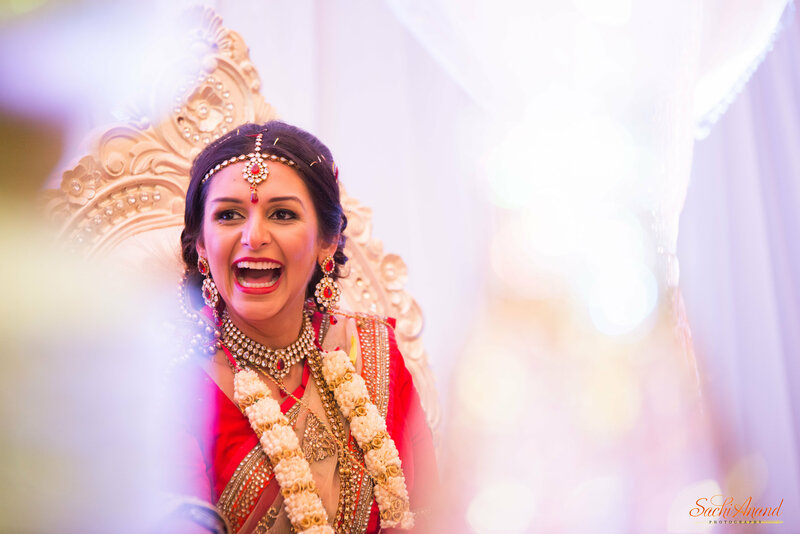 Sachi specialises in wedding, engagement, pre-wedding event and (even) proposal photography, so you can have your entire wedding journey catalogued! This means that anyone planning a big fat Asian wedding, including an engagement, haldi, sangeet, mehendi, baraat, wedding and reception ceremony, can rest assured that your Asian wedding photography needs can be met. 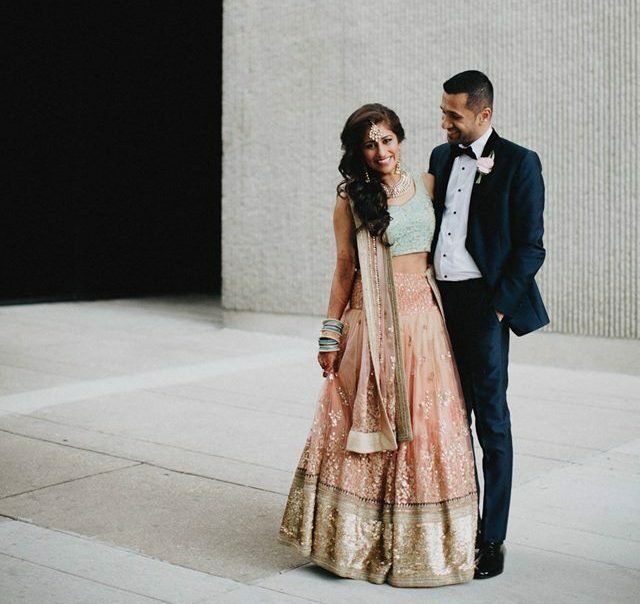 Sachi’s goal is to capture each moment of a wedding in a timeless way and to take photos that clearly show the love and happiness shared by the couple. I really love the elephant theme. Both the sculptures and the elephant embroidery on the mandeep is a great detail, which adds a bit of fun and cuteness to the wedding photos! A major part of any Indian wedding are mehendi tattoos, otherwise known as a henna tattoos. A henna tattoo is created from the dye found in a henna tree. 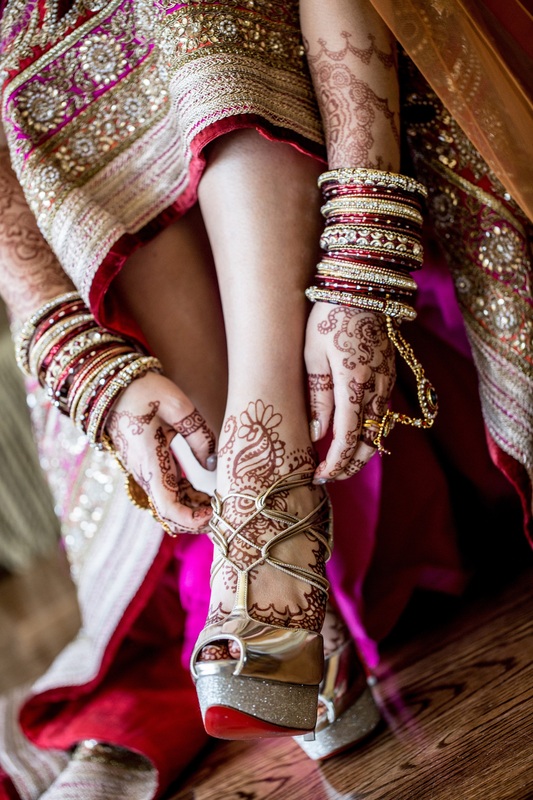 On the day before or day of the wedding, it is customary for the bride to get a henna tattoo on her hands and feet. 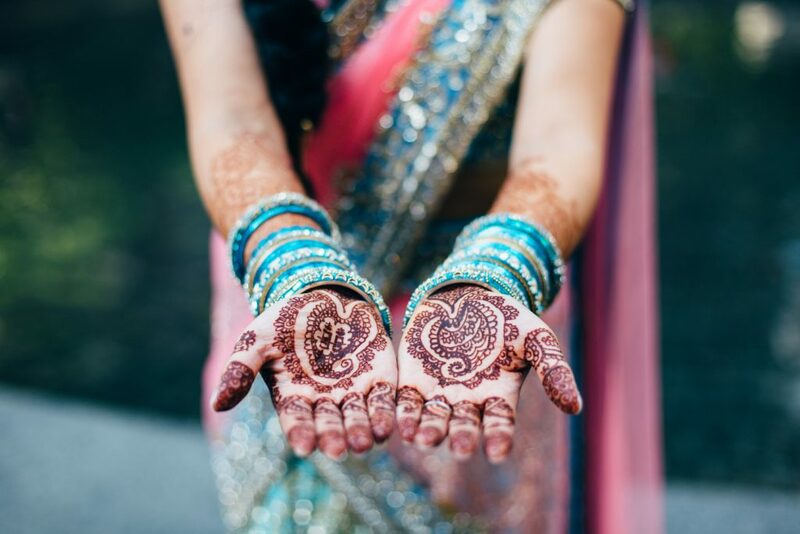 Mehendi and henna designs are a fun and beautiful way of complimenting and enhancing the overall bridal look, as well as representing the love between the bride and groom. 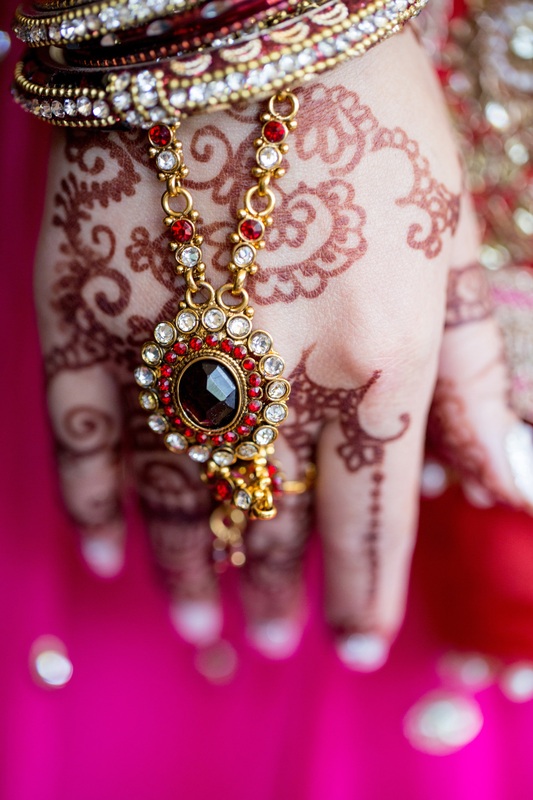 It is believed that the mehendi ceremony will awaken the bride’s inner light and so the sun is an important symbol and is traditionally included at the centre of the mehendi design. Some also believe that the degree of darkness of the final mehendi design, represents how much the groom will love his bride. 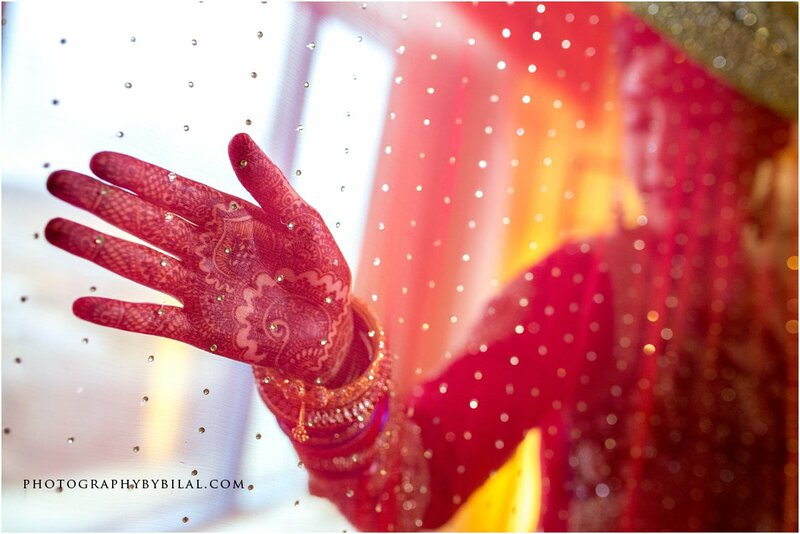 So the darker the mehendi, the more love shared between the bride and groom. 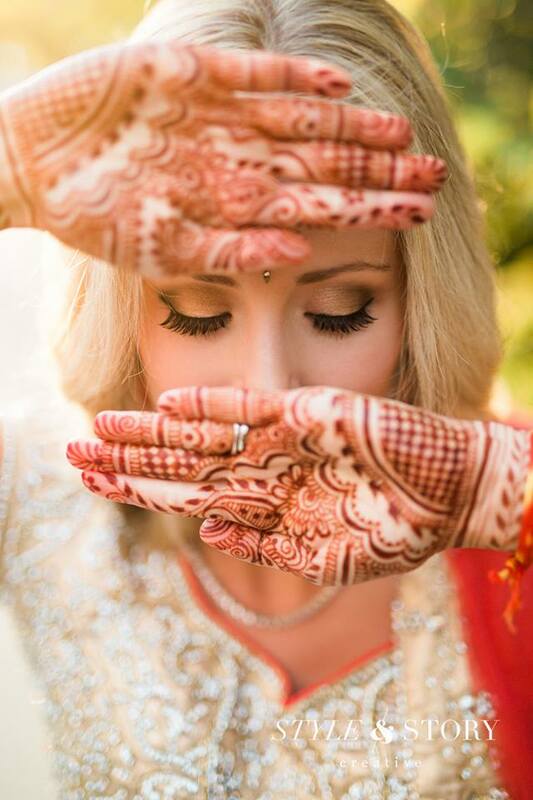 Asian henna designs are extremely intricate and can take hours to design and apply. 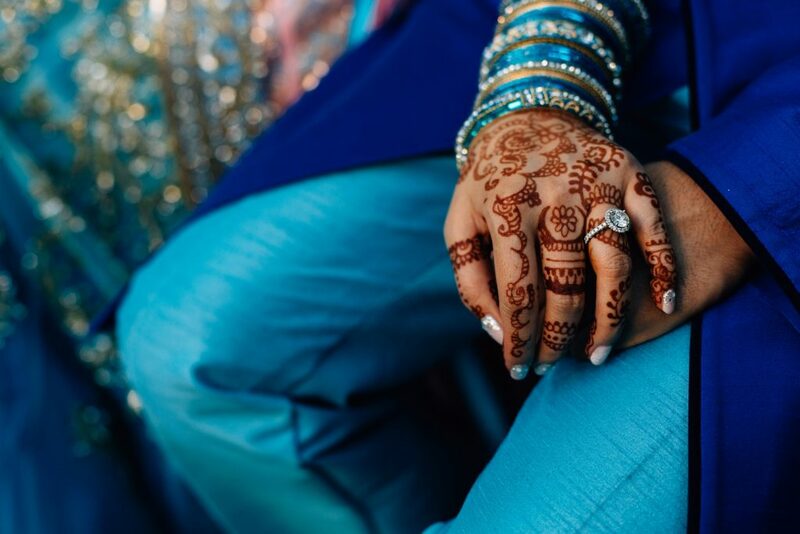 Sonia C creates unique henna tattoos for bridal parties, and offers a variety of designs and sizes ranging from the traditional hand and feet designs to back and head designs. 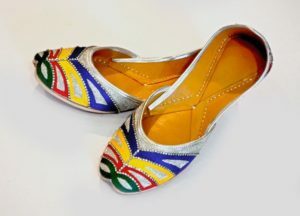 Sonia C, works freehand and draws inspiration for each design from nature, the visual arts and South Asian history. 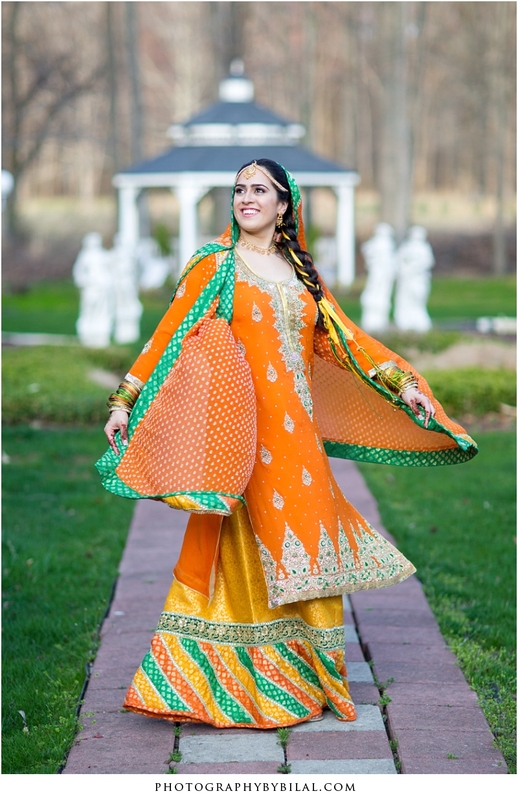 In addition to providing bridal henna services, Sonia C and her team also cater to henna parties and corporate events. 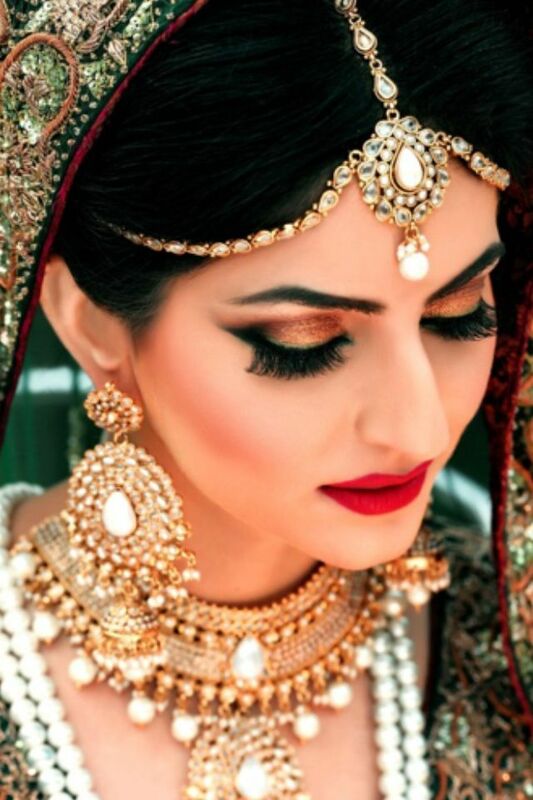 As a bridal stylist, Sonia C will ensure that the final look is the one that you as the bride has always dreamed of. 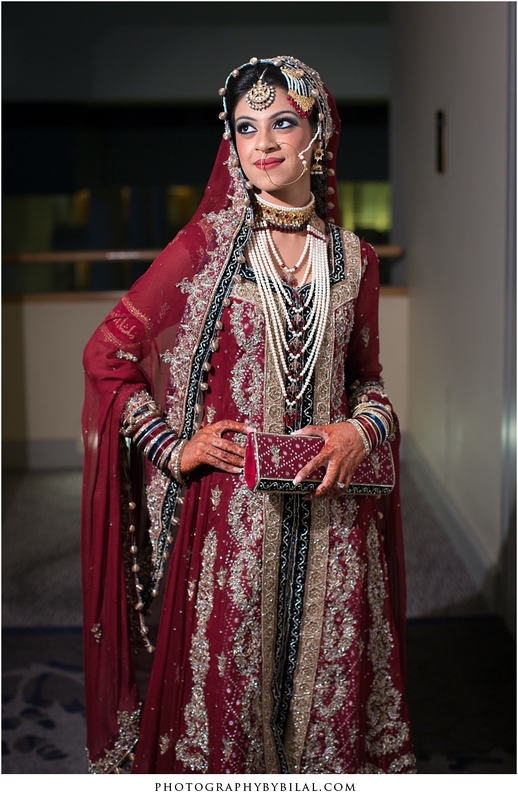 This is achieved by making sure the bridal outfit, makeup, hair and henna look flawless and are perfectly coordinated. 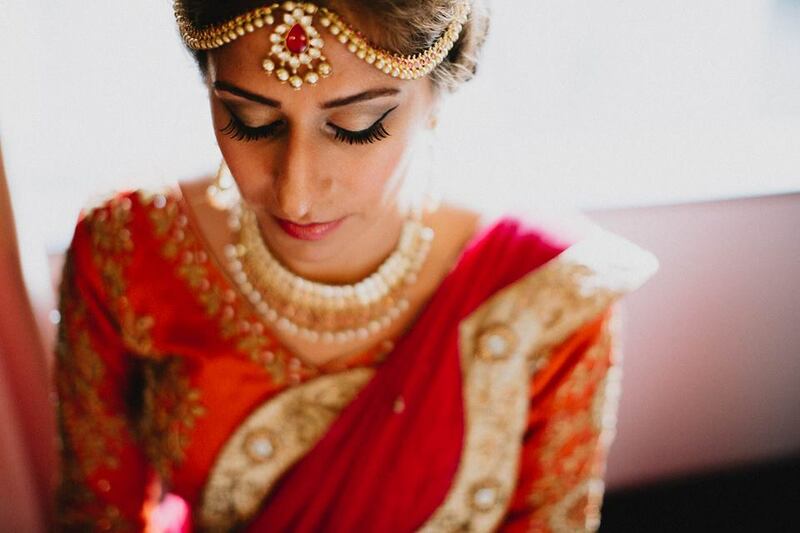 See some more of Sonia Collection’s henna tattoos here: http://www.soniacollection.com/henna/ and find out about her other bridal services, which include hair and makeup. 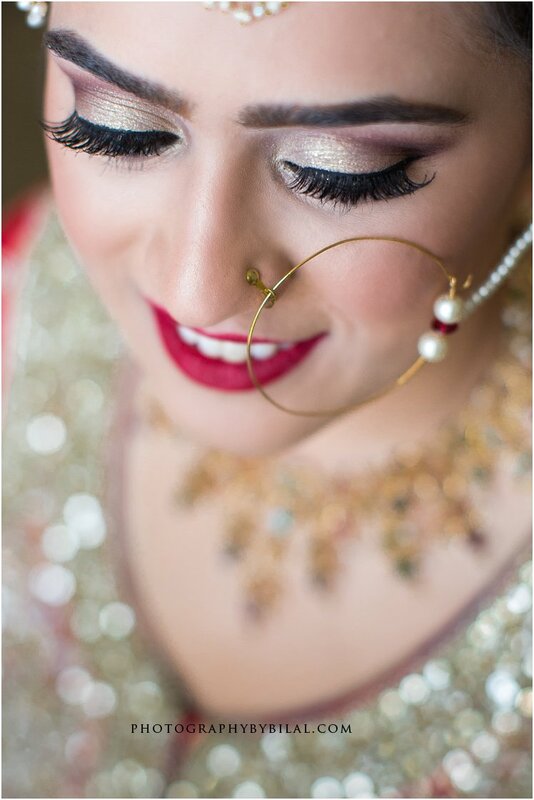 Columbus Wedding Makeup provides exemplary Indian bridal makeup and hair services on location throughout Columbus and Ohio. 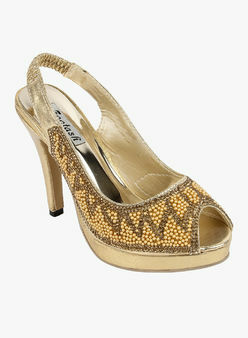 They use airbrush makeup to create a beautiful long lasting finish. 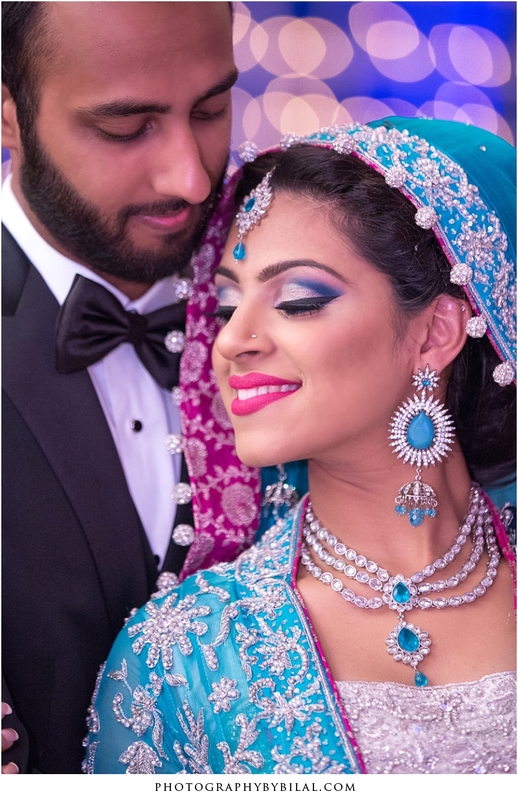 Columbus Wedding Makeup is set up so that both individuals and large parties can be accommodated. In recent years Columbus Wedding Makeup has started to provide Indian bridal makeup and hair services to Indian & Fusion Weddings. 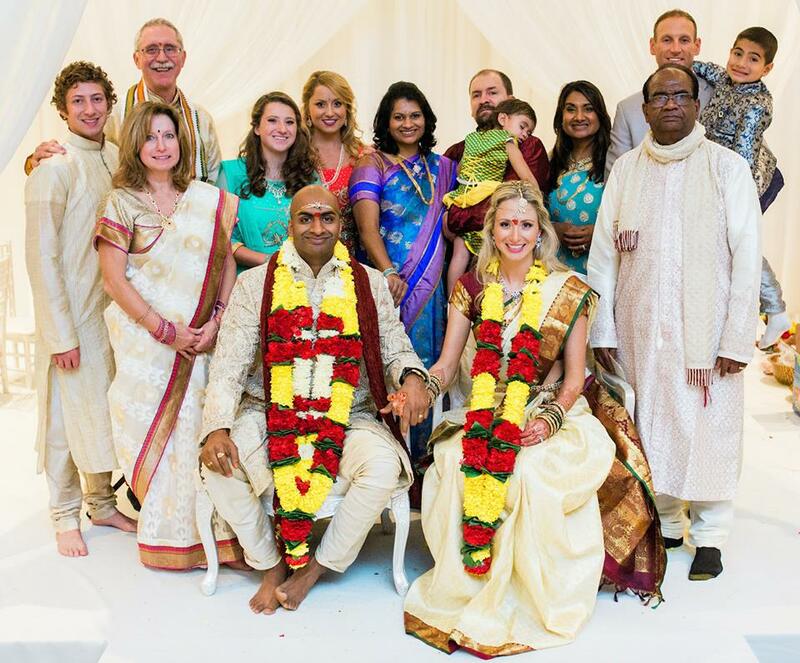 Below are a selection of photos from some of those weddings. 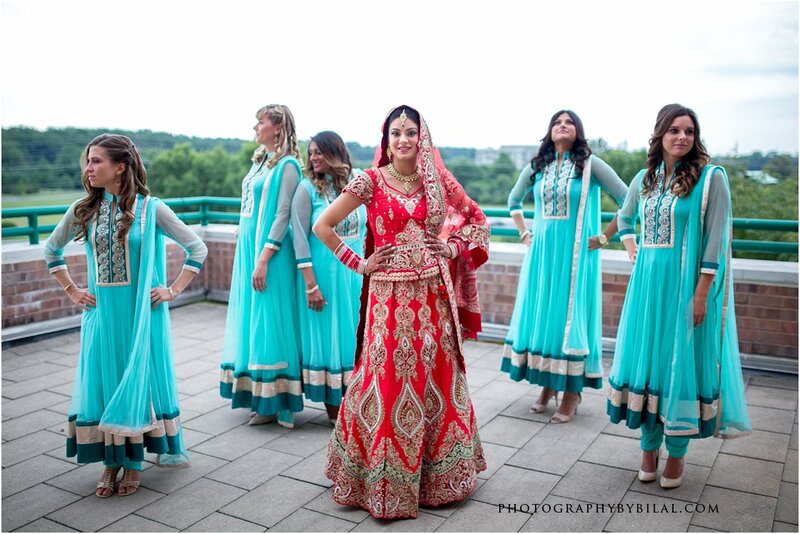 I’m sure you’ll agree that each of the brides look absolutely stunning! 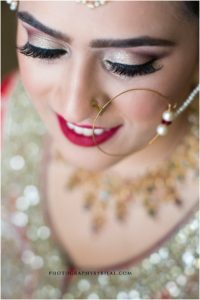 Columbus Wedding Makeup do their utmost to make sure that the end result matches what the bride had bridal party had envisioned. 2-4 weeks before the wedding, a preview session is arranged which involves makeup artists and hairstylists, along with the bride (and sometimes their family) so that they can get to know the bride’s skin and hair. 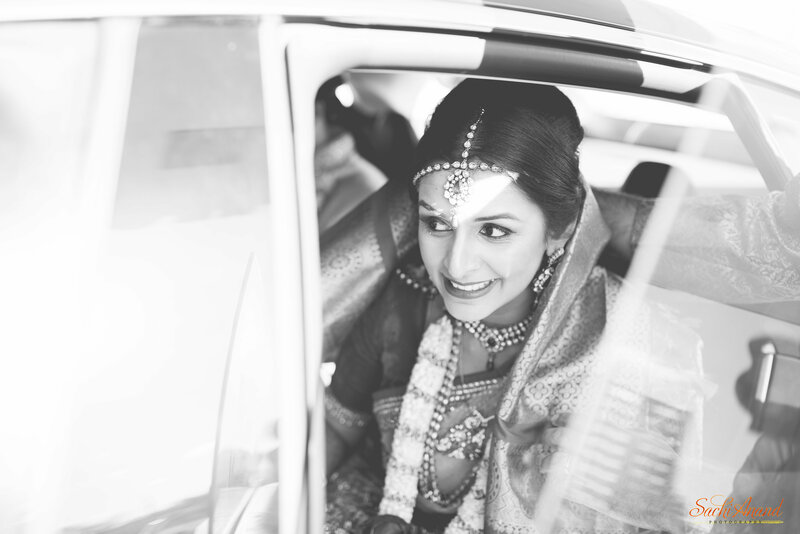 Around an hour is spent with the bride to create a preview of the wedding day look or looks. Columbus Wedding Makeup are aware of the need to adhere to certain traditions, and as the photos show, create a beautiful, glam look. 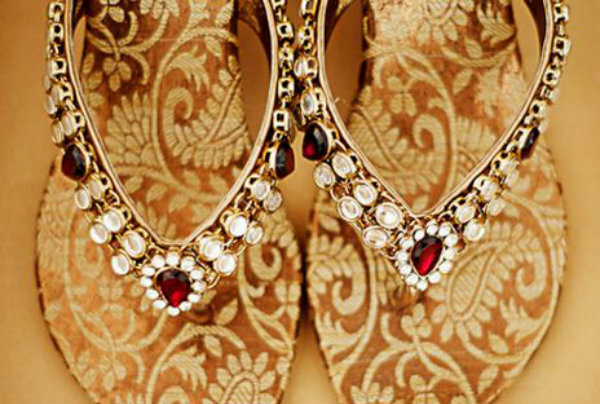 Are you in the midst of planning your Indian wedding and finding that it is far too expensive? The numerous wedding ceremonies that one has to plan for means that there are unfortunately a ton of things to pay for, from food and decoration, to your wedding outfits and makeup. Obviously you want to have the wedding of your dreams, but that doesn’t mean you need to fork out a fortune. 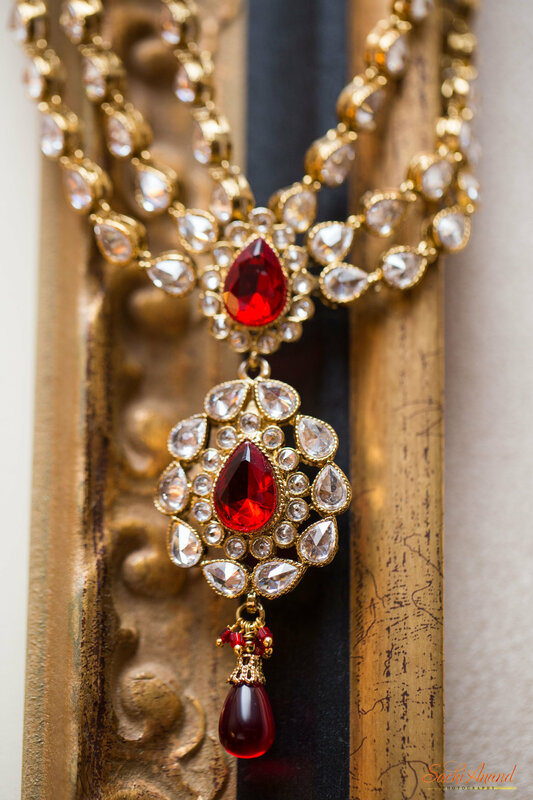 Your wedding can definitely be planned on a budget just as long as you’re able to use some forward planning and are prepared to bargain hunt. 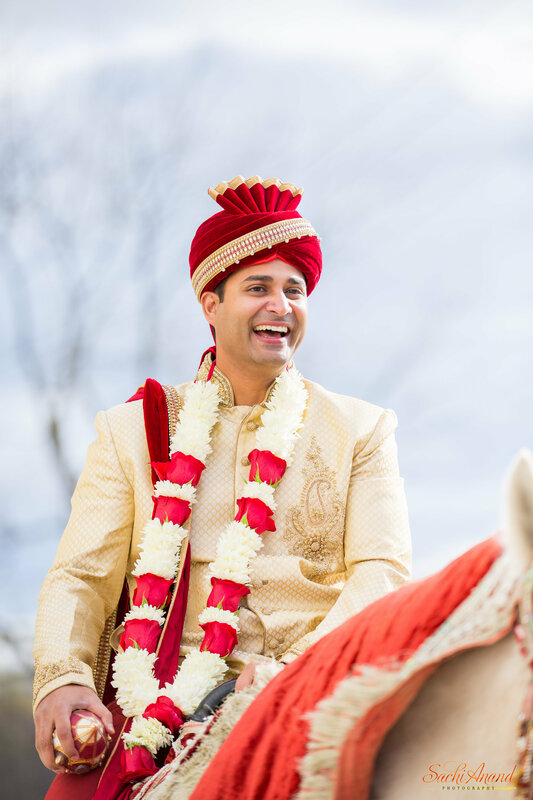 Here are my 10 tips to help you plan your Indian wedding on a budget. This one is without a doubt the most important. 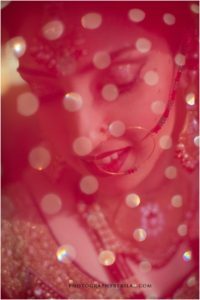 Know exactly how much you have available to spend on your wedding so that you don’t have any nasty surprises at the end. Once you have identified your overall budget it is important to work out what you need to pay for e.g. 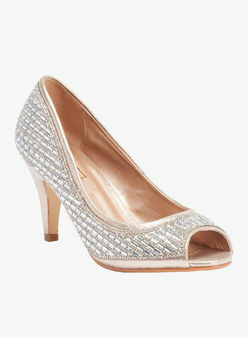 Venue, food, wedding invitations etc and do some research so that you know roughly how much each of these things cost. This way you can make sure you use your money accordingly and don’t massively overspend on one thing which would mean you have to forgo or skimp on something else. If you are able to order things by their importance then you can tick off the most important things first. This should make everything more manageable and less stressful. 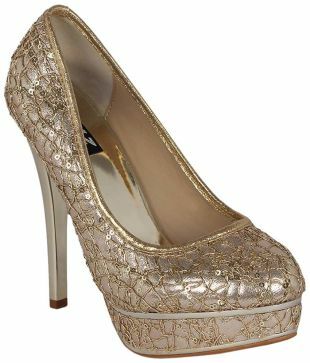 Wedding outfits can be expensive, so one trick is to start looking for your dream outfit way ahead of time. This will give you plenty of time to visit plenty of sales to find a bargain or to browse last year’s catalogues so that you don’t necessarily get the newest bridal outfit on offer, but so you can still be sure it will be super trendy. Alternatively, if you’re able to get all your outfits for each ceremony or your bridesmaid dresses from the same shop you should be able to pick up a great discount! When it comes to finding the perfect venue, food or decorations don’t just go for the first one you see. Take your time and make sure you explore plenty of options. When you go on holiday you would always use a comparison website to get the best flights, right? 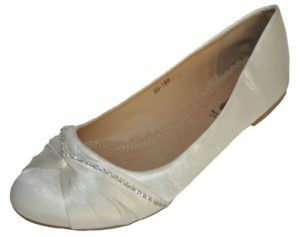 Well, so buying things for your wedding should be no different. Do a lot of research online, talk to vendors and get as many quotes as you can. Try making a handy comparison chart for yourself so you can keep track of everything. And remember, each vendor wants your business, so I’m sure they’ll be willing to accommodate you if you’re honest from the get-go. If you want to have alcohol at your wedding but are worried at the cost of having to pay the bar you can always limit the drink options available to guests. 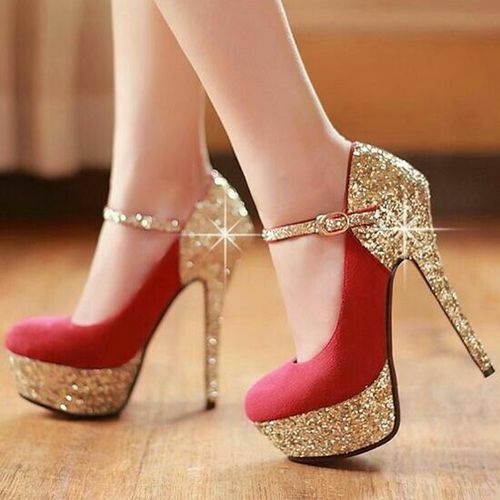 For example, you could stick to wine and beer and do away with spirits or you could just supply cocktails. Either way, your guests are bound to be happy and will barely notice. One sure way to lower your costs is to have your wedding slightly off-season. This means that they’ll be less demand for your venue so you won’t have to pay as much as you would in say June. 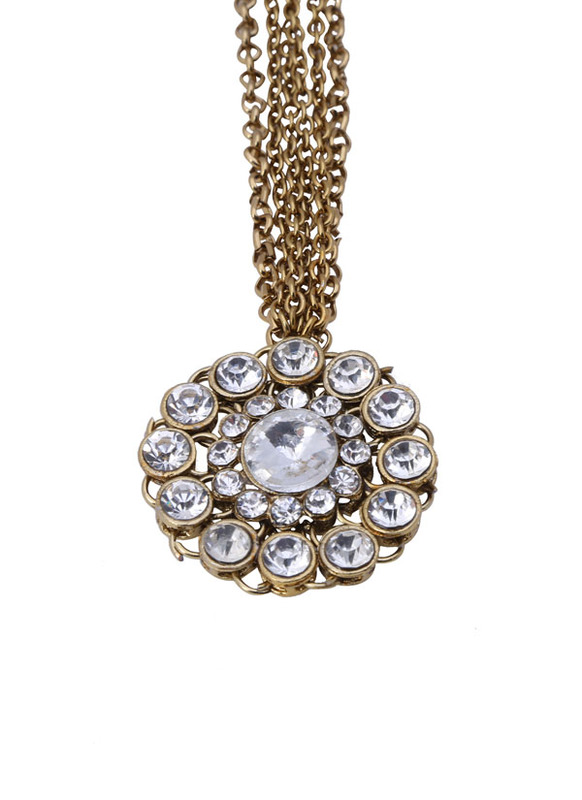 If there is something you have your eye on but know it is too expensive, you can either try and find a similar but cheaper alternative or you can try and do some DIY and make it yourself. Things can often go wrong when planning a wedding, so make sure you have some extra funds in case something major happens just before your big day. Remember, if you aren’t able to provide a load of fancy things at your wedding, don’t worry your guests won’t bat an eyelid. After all, it is all about you anyway, not the venue or decorations. However, if something does go wrong as your big day approaches, don’t be afraid to ask others to chip in. 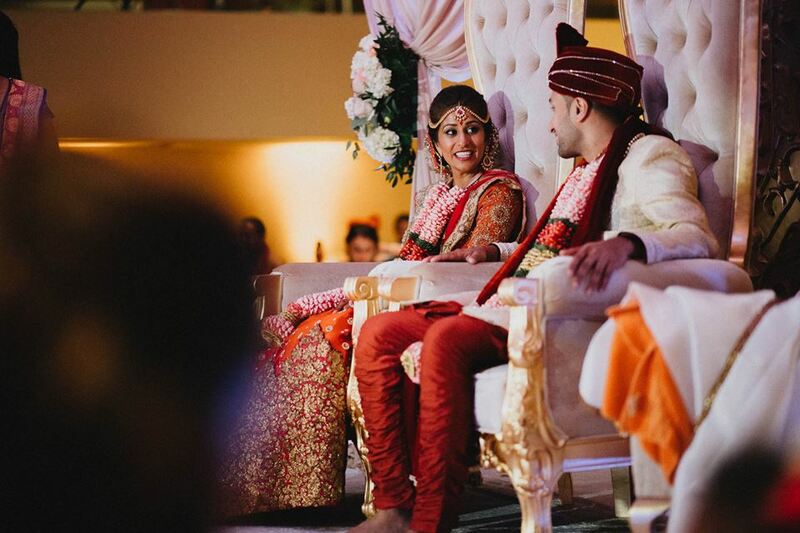 Up to a point, planning a wedding can be expensive, but it is definitely completely viable to host your dream wedding while saving some money here and there. 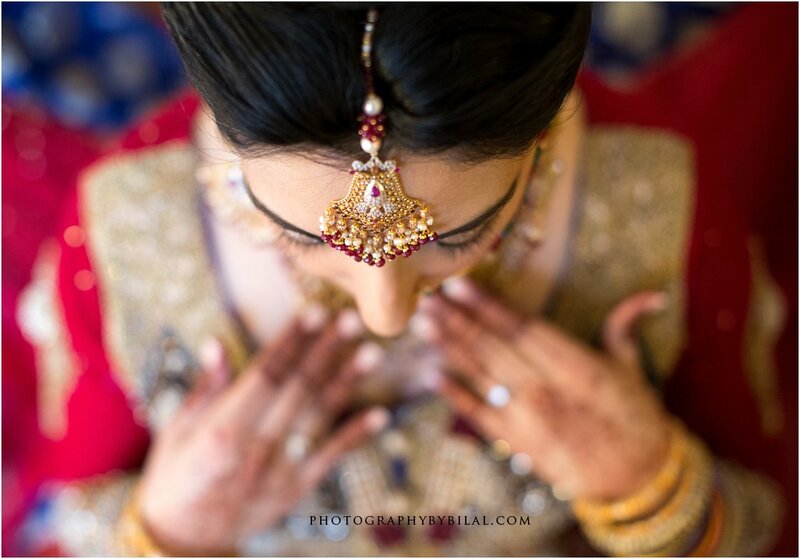 If you know your limits, book things in advance and strategise well, you can definitely plan your Indian wedding on a budget!